Owning a classic car is definitely not a hobby for those that want to take it easy. In fact, an auto hobby can come with a lot of work as classics often require a lot more work than their newer counterparts. Which makes restoring a classic car both time consuming and costly. But that shouldn’t be news to any avid classic car fan, nor should it be a turnoff. 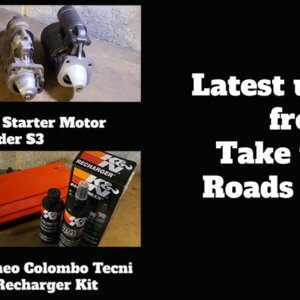 From choosing the right tyre to sourcing original parts and picking the final paint colour, you’ve got a lot of decisions to make. Some are easy to resolve but you can also encounter a handful of problems too. So let’s take a look at some of the most common issues you could run into when restoring a classic car. Over time paint can fade and wear. Sometimes it can have a certain patina like on this Aston Martin. One of the most notable problems you can come across will involve the bodywork. Regardless of how well a classic car has been cared for, over time, the bodywork will always start to show its age. The paintwork can start to fade, or the odd knick and scratch starts to show through. You may want to look into your car body repair options here, or even get to work on them yourself. It will take time and skill, but you can become a master of classic car bodywork with patience and practice. And if you aren’t comfortable doing it yourself, then leave it to the professionals. A seized engine on any classic is a problem. But on a Bugatti EB110…. When restoring a classic car it is easy to focus on the outside and forget about what matters on the inside. And that is the engine. As classics age, the engine can show signs of wear and damage. That is why classic car owners tend to focus on getting the engine overhauled or even replaced. Older components can start to seize and wear out if you’re not too careful. So be sure to maintain them correctly and where possible, get them restored to keep your car as original as possible. Water leaking into a classic car can completely wreck an interior, sometimes beyond repair. This is something that can happen to any car, but when you’re working with a classic car, it’s definitely more prone to cropping up. Although all cars are generally reliable when it comes to being watertight, classics just tend to be a bit more prone to leaking. So you are going to want to look out for any seal problems around the doors, windows and the boot. Leaking seals will lead to rust over time which is not good for any classic, or any car. So waterproofing your classic is very important. If you’ve ever restored a classic car from scratch before, this might be something you’ve come across. If not, it might sound strange. But, car interiors can often show signs of mold, usually as a result of leaking seals, or from just sitting in a damp environment. Mold can look bad but it is often easy to remove. Over the years, if not treated correctly, this often superficial issue can become more common – especially if you have had trouble with waterproofing in the past. The key is to keep your classic nice and water tight and dry. Leather interiors on luxury classics like a Jaguar XJ40 can be costly to replace if badly worn. Finally, you may also find when restoring a classic car that the rest of the interior is showing signs of wear and tear. Not only can you find cracks and scratches on the dashboard, but you may find tears on parts of the seats, door cards and arm rests. If you are planning on reupholstering the whole interior, then you won’t worry too much about it. But it’s definitely something to look out for when you are looking to buy a classic car, as some interiors, especially those with lots of Connoly leather, can be very expensive to replace. 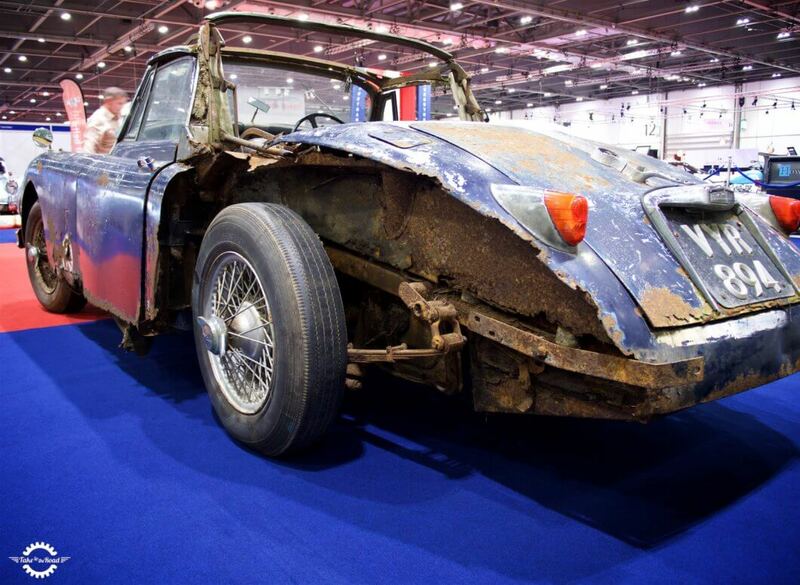 First of all – it’s a shame to leave a car to fall apart this way, not to mention a classic one. Second – it even harder than written in the article. You have to do a thorough research – searching and digging through tons of photos, drilling old documents, searching for past owners or someone who owned s classic. There are cars that were so neglected that only the chassis remains. I know for fact that finding the right parts is quite hard and actually pretty expensive. If you have no idea what are you looking for you may end with a replica. Building up again the boot and finding a matching paint color is also almost mission impossible. Thanks for the input Lena. I agree totally. There is nothing worse than seeing a classic left to rot away. Have come across many over the years. Indeed it is a big task to restore a car especially by yourself. TV restoration shows give the impression it is quick and easy when it is far from it. And tracking down the right parts can be a huge issue. It is costly and time consuming. But when you reach the end of the project it is so worth the effort. 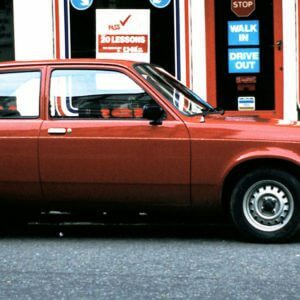 Pingback:	Will Self Driving Cars Kill The Classic Car Industry?